Now that I have a deskless classroom there is so much room for activities! I have seen so many articles floating around lately about how important it is for students to move during the school day. As we get to the end of the year getting students up and moving is essential for all of those pent up wiggles. I have started asking myself, how could students move while doing this activity? For example instead of sitting as a class and discussing questions, post them around the room and have students float from question to question asking and answering in pairs. 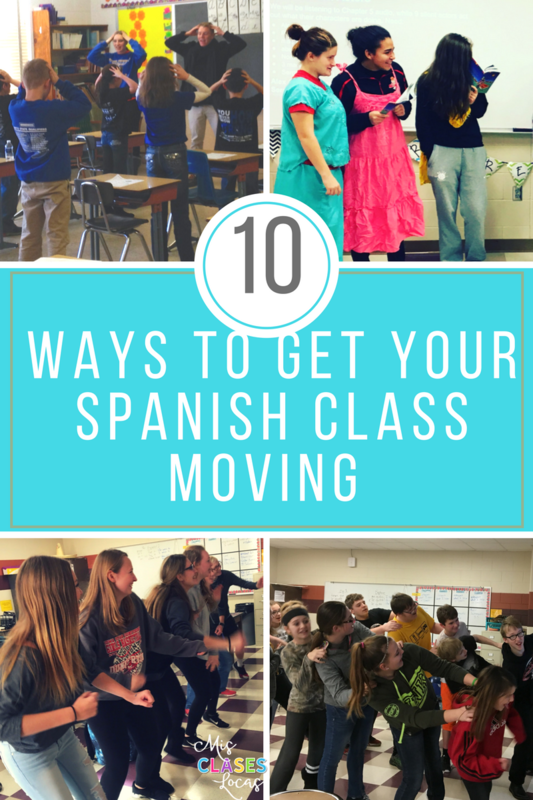 Here are some of my favorite ways to incorporate movement in Spanish class. This week I had the amazing opportunity to observe a 2nd grade class during literacy. 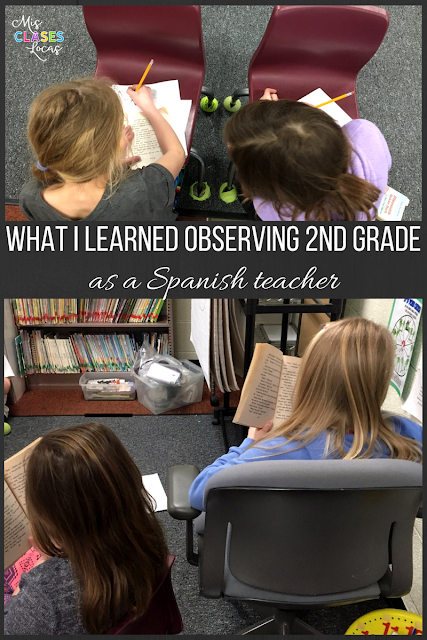 With our TLC (teacher leadership) program this year, one day a month we get a chance to observe another class for one class period, as well as have others observe us. (Next year I hope to get to go to another school to see Spanish using CI). Since I am a department of one and can not observe any world language teachers here, I figured the next best thing was elementary literacy. At our tiny school, I do not even have to go outside to get to the connected Pk-5 building to get to second grade. I am always on the lookout for presentations at conferences that are actually given in Spanish on a cultural topic. I love showing authentic film, so I chose a session at #CSCTFL on Spanish film class from Israel Fernando Herrera. 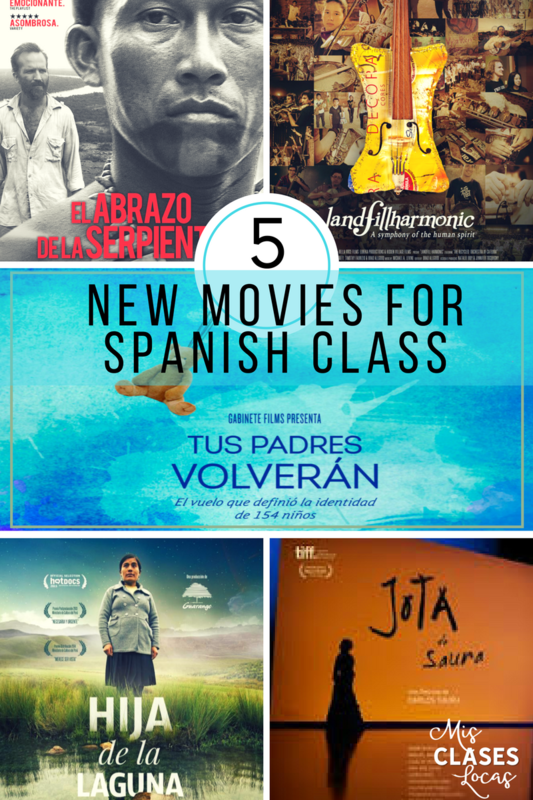 He brought up many new movies that I would like to watch, and research more as possibilities to incorporate in my classes. Most were documentaries with social justice or human rights themes. He went very in depth with the first couple of examples, but then flew through the rest very fast at the end. In order to help myself reflect on all of the greatness that I learned at #CSCTFL17, I am going to be blogging my takeaways from some sessions I attended. 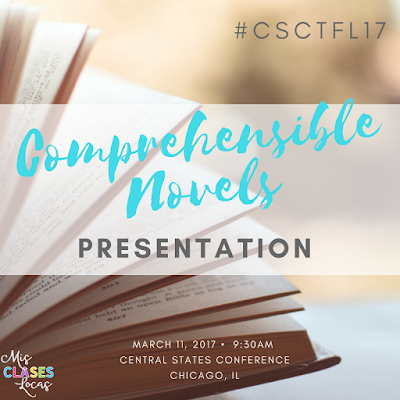 You can find links to shared presentations on the Pinterest board here, resources for my presentation about teaching with novels here, or search #CSCTFL17 on Twitter. I started my Central States 2017 conference with the energetic Mira Canion. I have taught using two of her novels in class (Tumba and Fiesta Fatal) and have always wanted to see her present. She did not disappoint and even introduced me to the concept of “Interpersonalization,” where you keep the input flowing, while monitoring comprehension in interpersonal activities. The basis of the presentation was on one activity, with the idea was that a simple question could lead to complex thinking. It could be used in novice classes and beyond. It would be great for the novel La Calaca Alegre, which focuses on the theme of identity. 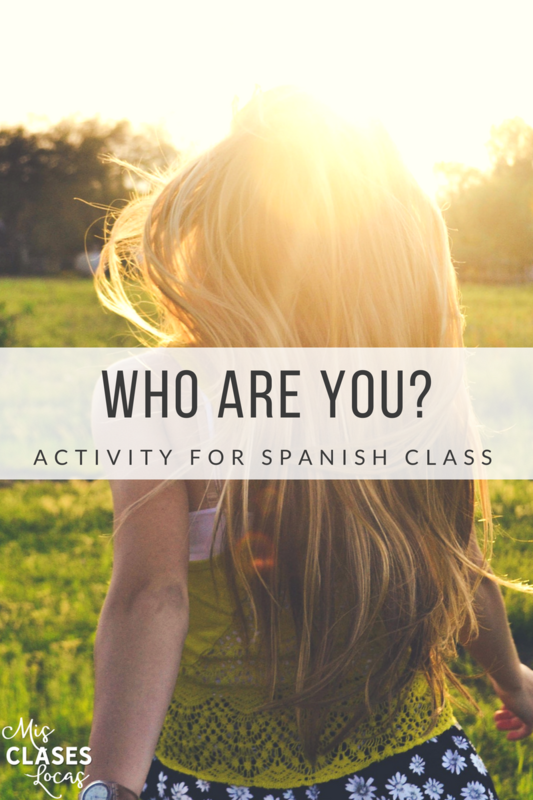 Give students two minutes to write in the target language on the prompt Who are you? Make sure to let them know that they will be sharing in both small and whole group settings. Once the timer goes off, have students pick the two words that most define them. Students walk around the room doing hands up, pair up to find partners. (If they need a partner, they raise hand, and high five someone else to identify partners). In partners say the chosen two words. If either of the words match, students put a thumb up for each match. This repeats until students have ten partners. At this point, students sit and write a reflection. This way once students are asked to share as a whole group, they all have something to say. This activity would be great with lower levels as it is low anxiety with only using two words, and allows for students to show their understanding without even talking. Even early Spanish one could come up with two words to describe themselves in Spanish. It would be a great getting to know you or back to school activity. The teacher is free to roam and listen, getting to know the class, and students get to see what words their classmates use to describe themselves. To level up this activity, students could instead share two sentences, or after sharing add other words. To mix it up it could also be changed into four corners based on what kinds of words are chosen (job, hobby, personality, identity, etc). After the activity the teacher can circle with a variety of questions to continue to get more repeated exposure to the vocabulary. For another twist the same activity steps could be completed, but instead of just talking about themselves it could be a famous historical figure or a character from a novel that is being read in class. After Spring Break, Spanish IV will be starting the novel La Calaca Alegre, which focuses on the theme of identity. I think this year, we will start with an expanded version of Who are you?, which will them move into this activity I have done previously on Mi Identidad. I love when I leave a conference with a concrete idea that I can put into action right away! What are your CSCTFL17 takeaways? On Saturday at 9:30am (TODAY!) I will be presenting at #CSCTFL17. If you will be there, please stop by and say hi! For those of you who will be attending my session, Comprehensible Novels to Increase Proficiency, my presentation can be found here. Let me know if you have any questions as you plan for your novels! 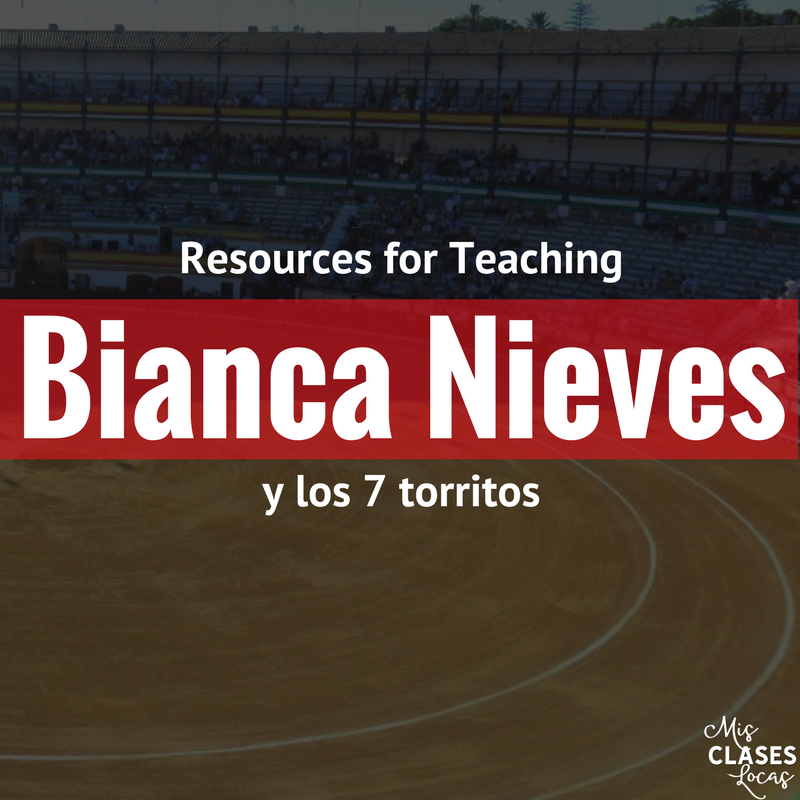 I am pretty excited that after Spring break Spanish II is going to start a unit centered around the novel Bianca Nieves y los 7 toritos by Carrie Toth. It will be my first time teaching the novel, so I know I will rely heavily on the awesome teacher's guide also by Carrie. I love how many innovative ideas are included, that even have pictures and examples. If you are ever on the fence about getting a guide and wondering if they are worth it, THEY ARE WORTH THEIR WEIGHT IN GOLD. My time is precious, so ready to go discussion questions and activities are my lifeline. A week into our new quarter we will have state testing, so I want to wait until that is done to actually start the novel. It will actually work out great that we can spend some extra time on a mini unit focusing on bull fighting and Spain. I spent a semester studying in Oviedo, and summer living in Rota, Spain, so it will be fun to show my actual pictures and explain the bull fight I attended. My current Spanish II got a taste of bullfighting last year during unit 5 of Martina's SOMOS curriculum, so this year I plan to expand on that. It is a mostly male class, who is all about the gory details. 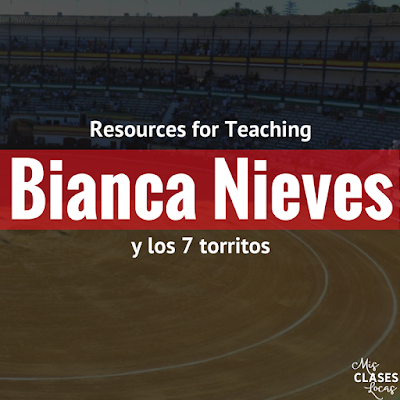 The tentative plan is start with a few of Elizabeth Dentlinger's amazing resources for personalized questions, as well as learning about the bull and bull fighter. I will then share about the corrida that I attended with pictures. 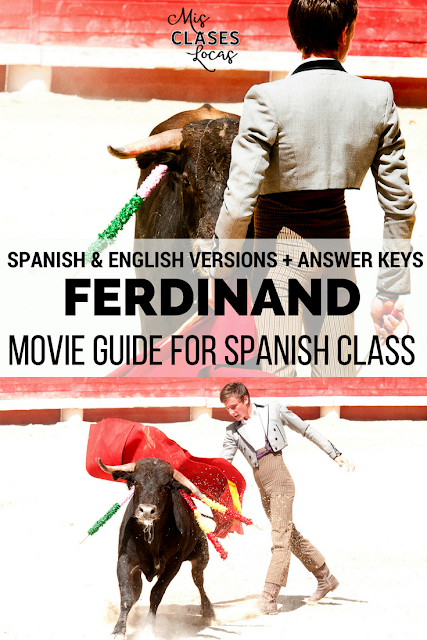 For a fun addition durng testing we will do the Matador Guapo video story from Spanish Cuentos, as well as dig into El Toro Ferdinando. All of the links can be found below. I then plan to talk a bit about Spain in general, once again using pictures I have, as well as the Geography of Spain from Sra. Dentlinger. My 2018 Update is now using the new movie Ferdinand. Here is my new guide. What are your favorite ideas and resources for teaching this novel? 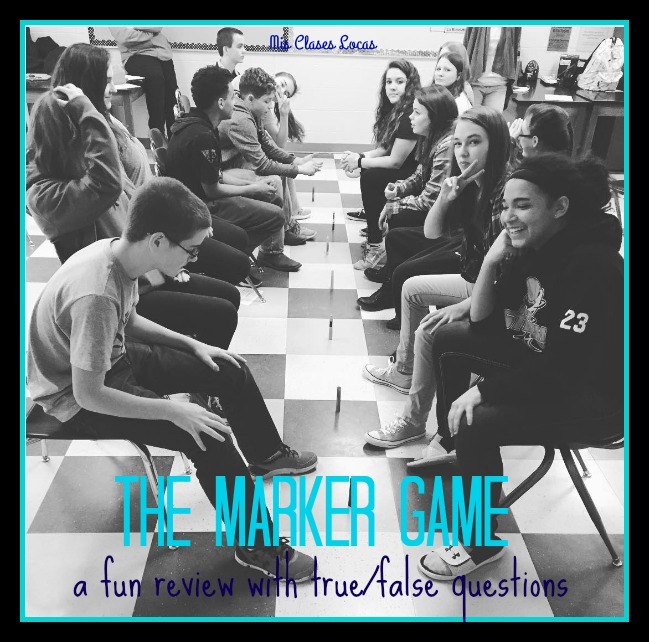 After posting the picture above on social media, I had a lot of interest in how to play the marker game. The original great idea came from Cynthia Hitz in this post. It is a low prep way to review a story, chapter, or chapters of a novel. All you need are true/false statements.